This home has a fantastic owner's bedroom retreat that offers you just the right place to come home and relax. Our sophisticated design team has preselected all of the interior colors and upgrade options for this stunning home, so we are able to provide you with the peace of mind of a full sales price, and no hidden costs. 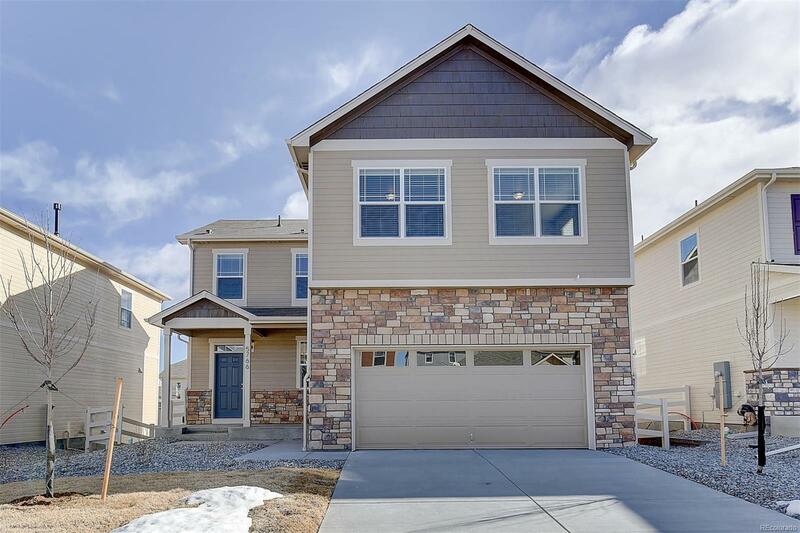 Stainless steel appliances, gas range, air conditioning, walkout basement, great western sun exposure, mocha cabinetry and hardwood flooring are just to name a few of the items that this home has. Our beautiful community has a clubhouse, community pool, fitness center, basketball & tennis courts, many parks and miles of walking trails! Don’t want to wait 9 months to a year to move into your new home? You don't have to, this home is move-in ready! With all of the incredible value that we are offering and the fact that this home has 1, 2 and 10 year warranties, we won't have it long. Builder 2-10 Limited Warranty. Photos are representative - not of actual home.